Steve joined Rich & Cartmill, Inc. Insurance as an agent in June 1998, after eight years with John Deere Insurance as a property and casualty agent specializing in dealership insurance. Steve obtained his Bachelor’s degree, majoring in Management, from East Central University, Ada, Okla. in 1987. 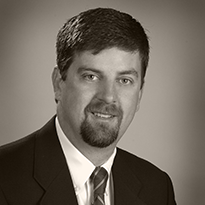 Steve is a member of the Independent Insurance Agents of Oklahoma and Independent Insurance Agents of Greater Tulsa where he currently serves on the Executive Board. He received his designation of Certified Insurance Counselor in 1997. Steve has lived in the Tulsa area since 1990 and currently lives in Broken Arrow with his wife and three children who attend Union Public Schools. He enjoys hunting and fishing and following his children’s athletic activities. Along with his family, Steve attends Evergreen Baptist Church in Tulsa.